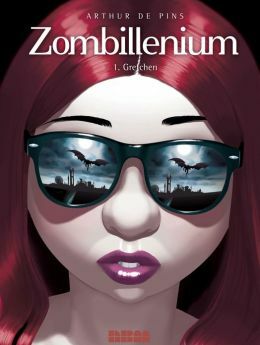 Coming this summer from award-winning writer and artist Arthur de Pins is Zombillenium: Gretchen. This awesome graphic novel has already been released elsewhere (France), but it’s coming to the US and Canada on August 1st. Woo! Check out the details on this comic below. It.looks.awesome! I love me some full-colored comics. I hate black and white pages – SO boring. But this one is fully colored and looking amazing. Based on the description and the trailer this comic is definitely going on my “I WANT!” list. So what are your thoughts on Zombillenium: Gretchen? Does it look like something you may check out? Or are you going to pass on this one? Let us know in a comment below! Oh! As far as I know, we don’t have any French readers. But if we do and you have read this comic, share your thoughts on it.